LOUISVILLE — Two months ago, peaceful protesters in Nicaragua were brutally attacked by forces loyal to the government. The ensuing unrest has resulted in the death of nearly 300 people, and many Nicaraguans won’t leave their homes for fear of being shot. A special commission of the Organization of American States is investigating the government’s involvement in the violence. 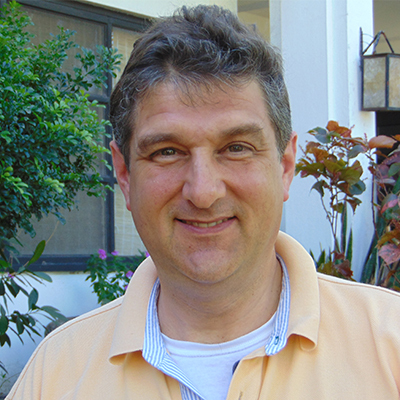 The PC(USA) currently has one mission co-worker serving in Nicaragua. Tracey King-Ortega, regional liaison for Central America, lives in the capital city of Managua with her family and first worked with CEPAD starting in 1999. In her work with CEPAD, she cultivated the development of long-term, committed relationships of solidarity, accompaniment, friendship and spiritual growth between churches in the United States and churches in Nicaragua. She continues to collaborate with CEPAD in her current role as regional liaison. King-Ortega has made the difficult decision to leave the country temporarily and is asking for prayers for brothers and sisters who cannot leave. 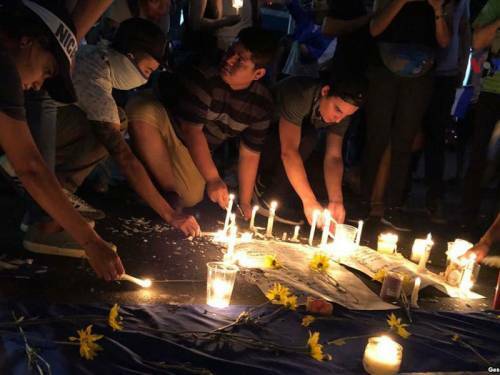 CIEETS (the Interchurch Center for Social and Theological Studies), another PC(USA) partner, issued a statement and asked for solidarity and prayer for the people of Nicaragua. Naming the atrocities that have traumatized the nation since April 18, they identify the important contributions they hope the evangelical church will be making. “Our mission is the search for the construction of peace with justice, democratization in the state and society, the reconstruction of the country, and the coexistence of all sectors of the nation.” The statement goes on to provide a list of recommendations and pastoral guidelines for the church in this current crisis. The full text of CIEETS’s latest statement follows. In the name of Christ, we greet you: Pastors, Deacons, Bible Teachers, Evangelists and Pastoral Counselors of the Evangelical Churches of our country. We pray that the Grace of the Lord be in your ministries at the service of your Churches and the Nicaraguan people. Everyone can attest to the fact that we are all suffering the pain of the deaths of, according to statistics from Human Rights Organizations, 220 people (most of them young people) and the more than 2000 injured, illegally detained and disappeared, whose main responsibility is attributed to the Government and its police forces. Therefore, we urge the Government of President Ortega to order the cessation of repression and to deepen the spirit of the National Dialogue towards a negotiation for a peaceful, orderly and democratic solution within the framework of the Constitution. Our mission is the search for the construction of peace with justice, democratization in the State and Society, the reconstruction of the country, and the coexistence of all sectors of the nation. We must continue to show solidarity with the victims of repression. Victims need companionship, love, consolation, prayers of healing, encouragement and hope. May we continue to support mothers, fathers and families who have lost loved ones. Pastoral consolation is vital for grieving families. Our students of theology, psychology and medicine are linked to these processes. We should keep contributing food, medicine, drinking water, clothes in good condition, and economic resources to families that have become impoverished and are facing difficulties in the present crisis, as well as food and medicines for young people, residents, and peasants in need. Service among others is fundamental in the face of human needs. Let us continue in solidarity with the national and international Human Rights organizations urging an integral investigation of the deaths that have taken place in order to bring justice to those responsible for these deaths. Our students and law teachers are linked to this process. We should continue to make recommendations that help the National Dialogue Table to move forward in the Agreements of both parties for a peaceful, orderly and democratic solution, in accordance with the Constitution. Let’s keep fasting and praying for the cessation of violence.